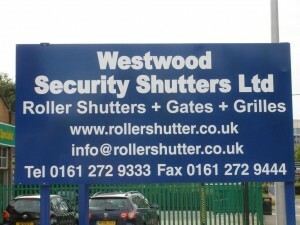 Westwood Security Shutters Ltd provide the manufacture and installation of roller shutters, fire shutters, high speed doors and retractable gates to the Kings Lynn area. If you are located in or around Kings Lynn and seek professional roller shutters with courteous service offering value for money, we will be delighted to discuss your requirements without obligation. We offer full roller shutters installation in Kings Lynn or a "DIY supply only" service. Please feel welcome to contact us over any matter that may occur to you. We are a friendly, approachable company and are more than willing to to help in any way. We have many satisfied customers and our skilled engineers cover all Kings Lynn areas and surrounding counties. We provide a nationwide service from our central Manchester base. Our vast experience in the field of perimeter security and our intimate knowledge of customer needs, enables us to provide an unrivaled service to clients. Area we cover - Boston, Castle Acre, Dereham, Downham Market, Fakenham, Hunstanton, Sutton Bridge, Sheringham, Swaffham, Watton, Wisbech.